As Quinnen Williams projects as the No. 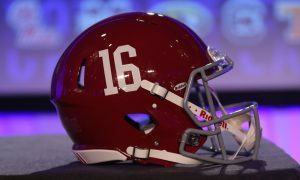 1 overall pick for the upcoming NFL Draft and a few more choosing to leave with him for the professional level, the University of Alabama begins to locate different players that will step up and continue positive consistency for next season. Despite not defending its title as national champions, head coach Nick Saban is prepared for another strong run and he has the experience and talent to do it. 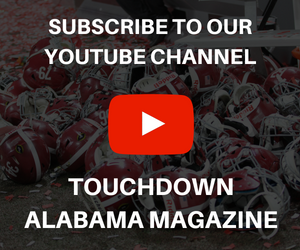 While most Crimson Tide fans are excited for the return of spring practice in March, we here at Touchdown Alabama Magazine have already started a projected two-deep depth chart on offensive and defense for 2019. Listed below is the defensive version. Summary: After not having the junior year he was expected to have, it was a smart move on Raekwon Davis to return for next fall. The 6-foot-7, 316-pound witnessed a decrease in his production for total tackles (55), tackles for loss (5.5) and sack (1.5), following a stellar performance as a sophomore in 2017. 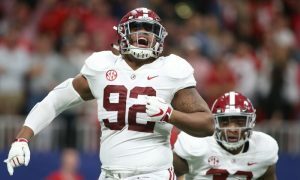 With Quinnen Williams and Isaiah Buggs both heading for the NFL Draft, Davis will get another chance to prove he’s a big-play talent and leader. Antonio Alfano, a five-star defensive end, needs a little more weight on him; however, he is going to get opportunities at 6-foot-5 to be a huge part of the rotation. Hailing from New Jersey, he signed his letter of intent for Alabama and wants to be the next playmaking candidate on the defensive line. Alfano did one television interview in particular with a No. 99 jersey on so, he is really looking forward to learning from the Mississippian – Raekwon Davis. 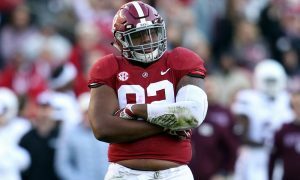 Summary: Phidarian Mathis got much-needed playing in rotating in for Quinnen Williams and the redshirt freshman from Louisiana totaled 18 stops in 2018 at defensive tackle. The 6-foot-4, 310-pounder is strong inside, but also possesses the ability to shed offensive linemen and run plays down from behind. His initial steps to generate negative plays are quick; however, Mathis has to continue keeping his pad level low to frustrate opposing fronts. Christian Barmore and D.J. Dale will battle for second-string. Barmore, a redshirt freshman, encountered early struggled in practice last season, but started to understand more of the system down the stretch. Listed at 6’5” and 292 pounds, the four-star from Pennsylvania was listed at No. 75 on the ESPN 300 out of high school in the 2018 class. Dale, a four-star defensive tackle, comes in at 330 pounds. A product of Clay-Chalkville High School in Pinson, Ala., Dale is one of the guys pushing for a starting job from the 2019 class. 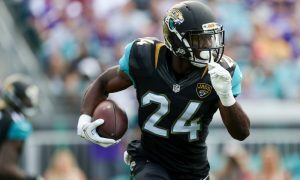 He may have to drop five pounds to improve his quickness, but Williams sees Dale as a “freak” and believes he is ready to make an immediate impact. Summary: He has whetted the taste buds of Tide fans in the last two years, but LaBryan Ray will have the full beast come out next season. As he has grown to 294 pounds, the rising junior is among team leaders in tackles for loss (six) and totaled 2.5 sacks through 15 games. 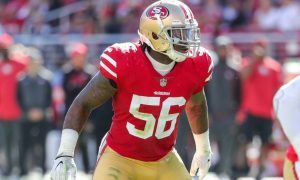 Ray also chimed in with two pass breakups and two quarterback pressures, and according to Rudy Griffin of Hewitt-Trussville High School, the defensive coordinator and former Alabama defensive lineman compared the James Clemons High School product to Terrell Suggs. “He’s got that quick-twitch pass rush ability,” Griffin said of Ray. Stephon Wynn has dropped eight pounds – 308 to 299 – since arriving to the University of Alabama for the 2018 class, but he is still a monster at 6-foot-4. The native of South Carolina recorded three tackles last season and is ready for more production once spring ball starts. As a four-star, he was one of the top defensive end prospects. Wynn totaled 13.5 sacks and 23 tackles for loss in his sophomore and junior seasons at T.L. Hanna High School, before transferring to IMG Academy for his senior year. Summary: Anfernee Jennings came to life during the middle portion of 2018, following his return from a knee injury in the 2017 College Football Playoff semifinal versus Clemson. He collected 50 total tackles – including 13 stops for loss and 5.5 sacks. Jennings also posted a team-high 11 quarterback hurries, six pass breakups, one interception and one fumble recovery for a touchdown. The 6-foot-3, 266-pounder has the size and strength to set the edge against the run, while possessing the speed and hand strength to affect quarterbacks. His decision to return brings experience and depth at strong-side linebacker. Christopher Allen, a five-star from the 2017 class, was tearing it up in spring practice prior to a knee injury in the summer of 2018. Hailing from Baton Rouge, La., he has big-time edge rusher and run stuffer written on him, if he can stay healthy going into next fall. 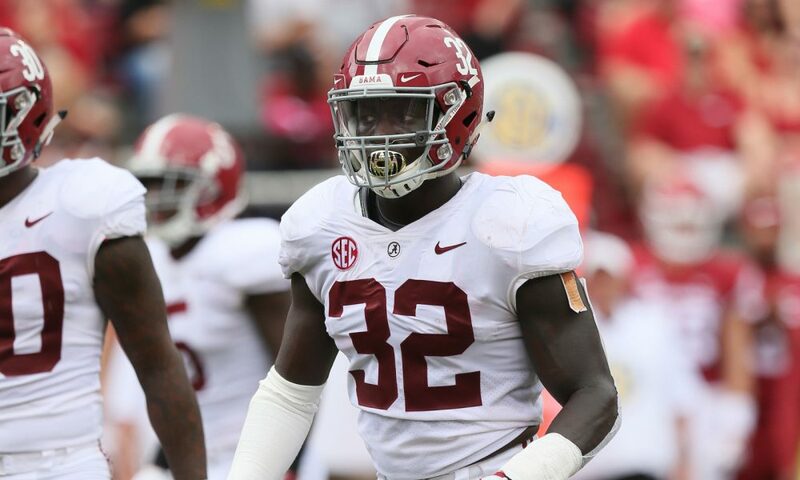 Summary: Mack Wilson’s departure to the NFL Draft hands the keys of Alabama’s defense to Dylan Moses, who is already prepared to take over. Moses had a better year than Wilson last season, totaling a team-high 86 tackles and having 10 tackles for loss and 3.5 sacks. He was a finalist for the Butkus Award (nation’s top linebacker) and Moses is also someone that takes film study seriously. With the Baton Rouge native setting everyone in order, expect Alabama to not only get back to the CFP, but to win it all next season under Nick Saban. Joshua McMillon and Markail Benton are both talented. The duo each turned in 14 tackles, with McMillion having more solo stops (11). Benton, a native of Phoenix City, Ala., has more athleticism, but McMillon has been in the system longer. It will be a battle to see which one comes behind Moses. Summary: Ale Kaho’s time is now. Teammates like him, coaches are drawn to how he processes things, and he has the build/intelligence that rivals former Alabama linebacker, C.J. Mosley. He was a massive weapon on special teams, but Kaho’s quickness fits the Tide perfectly at weakside linebacker in base 3-4 alignment, nickel and dime formations. Like Kaho, Jaylen Moody is a natural head buster. He was added on late to the 2018 class, but the three-star from South Carolina did a lot of good things on special teams and has great potential at either weakside or middle linebacker. Moody is bigger than Kaho at 230 pounds – Kaho at 218 pounds – but he is positioned at weakside here, due to his quickness as well. Summary: All that Tide fans want is one season with Terrell Lewis healthy. He can affect the passing game and rushing attack of opposition, but he can he do it at full strength for one year? All hopes rest on that. Lewis returns for the 2019 season after missing the entire 2018 campaign with a knee injury. The former five-star from Washington, D.C. native is a big play waiting to happen at 6-5 and 256 pounds, but he has to perform with availability. Lewis at full strength grants the Tide a defense that no one wants to face. 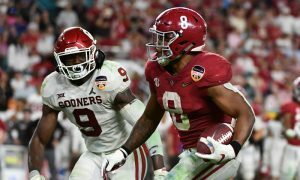 For Eyabi Anoma, the comparisons for him have been as low as Tim Williams to as high as Derrick Thomas. He has the capabilities to reach his full potential as a five-star from Maryland in the 2018 signing class. He has to continue to get stronger; however, he’s a growing specialist. Summary: Alabama’s secondary gained a huge shot in the arm, when Trevon Diggs announced via social media that he was returning for his senior year. He missed nine games of the 2018 campaign after suffering a foot injury against Arkansas. The 6-foot-2, 199-pound cornerback had a team-high six pass breakups before the mishap, but has a chance to put it all together next fall. Josh Jobe, a rising sophomore, was one of three talented corners signed in 2018; joining Patrick Surtain II and Jalyn Armour-Davis. He got on the field in the national title game versus Clemson and did a decent job in the absence of Saivion Smith. Another year in the system should bode well for him as he continues to improve his craft. Jobe is a four-star from Miami, Fla.
Summary: It has a ton of depth returning to the secondary – especially at corner — but Patrick Surtain II is one of the leaders for the Tide. As a true freshman, he was selected to the All-Freshman Team for the Southeastern Conference, Associated Press and Football Writers Association of America. The Florida native turned in 37 total tackles, 1.5 tackles for loss, seven pass breakups and one interception. Despite a rough performance against Oklahoma in the Orange Bowl, it was the lone game where Surtain was attack throughout the matchup. Jalyn Armour-Davis is going to be great in the fall, but he’ll have to battle Nigel Knott for backup corner on the right side. Armour-Davis, a four-star from Mobile, Ala., sustained an injury earlier in the season that prevent him from coming on the field in 2018. He was one of the nation’s top cornerback prospects, but so was Knott (4-star) in 2016 out of Madison, Miss. This will be a matchup to watch. Summary: Shyheim Carter owned this position a season ago, but Kyriq McDonald has the playmaking skills to serve in the role next fall. McDonald, a three-star from James Clemon High School in Madison, Ala., saw action in 11 games and had seven tackles as a redshirt freshman. He came as one of the best defensive backs and athletes in the 2017 class and at 5-11/197 pounds, McDonald has the ideal size of a nickel corner. His quickness is good enough to play in the slot and he has a good feel for breaking on passes to generate turnovers. If he can’t serve in that spot, watch for Nigel Knott. Summary: Aside from him getting called for targeting versus Auburn, this is the ideal position for Jared Mayden moving forward. He presents himself as a natural thumper and in dime he can perform the role across the formation. Hailing from Texas, Mayden tallied 18 tackles, including one tackle for loss and one sack in 2018. He has accounted for two pass breakups in 13 games. Daniel Wright played in just four games, but he had to have surgery to repair a labrum in his shoulder. He faced suspension via the coaching staff, yet he remains one of the better defensive backs on the roster as a returning junior. At 6-foot-1 and 185 pounds, the Florida native came into the 2017 class as one of the top safety prospects out of Boyd Anderson High School. He quickly made a name for himself as a killer on punt and kickoff coverage, so he can transition into be a thumper in the secondary. Summary: Xavier McKinney filled up the stat sheet and showed that can be a better coverage defender, rather than being just a big-time hitter. The 6-foot-1, 197-pounder finished with 74 total tackles (third on team), six tackles for loss, three sacks, 10 breakups (tied for second), two quarterback pressures, two forced fumbles and two interceptions through 15 games in 2018. 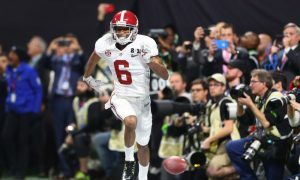 At times, the native Georgian mimicked the big-play abilities of Minkah Fitzpatrick. Mayden lies behind McKinney. Should things not work in dime, he can be an enforcer at strong safety on run plays and be a secure tackler on pass patters across the middle. Summary: With Deionte Thompson gone to the NFL Draft, this is the best spot for Shyheim Carter to dominate when spring ball returns. The 6-foot, 195-pounder from Louisiana provided fans and media personnel with much tape of him defending the elite receivers from all angles. He took off late in the 2018 season, including a masterful showing versus Georgia in the Southeastern Conference Championship Game in Atlanta. Carter recorded 44 tackles, 3.5 tackles for loss, 10 pass breakups (tied for second) and two interceptions returned for touchdowns. He has the ideal range of a free safety. Regardless of him being more of a thumper right now, Daniel Wright can grow into becoming a valuable defender in coverage. Like Carter, he has the wingspan to force quarterback into throwing perfect passes against him. Wright must continue to learn, but he fits here too.